PALA FOR THE COURSE? - Is Pala Online Casino just another online casino or are they the real deal? Pala Interactive is an online gaming site owned by Pala Band of Mission Indians, a native American tribe that hails from Southern California who own and run a successful brick-and-mortar casino in San Diego. The Pala were the very first tribe to run an online casino in the state of New Jersey. 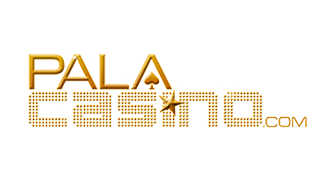 Pala Online Casino was launched in November 2014, just a year after the online casino market began. Pala Casino has a wide variety of games on offer, all of which are run by their very own software platform. After initial concerns in regards to the stiff competition they would face from sites like PokerStars and Borgata, Pala Interactive launched their poker exclusive site, Pala Poker to great success. In today’s review we will be taking a closer look Pala Online Casino and give you our thoughts on the brand, the games they offer, their bonuses and even their mobile app(s). Pala Online Casino New Jersey offers punters a great selection of games on which they can win real money on. Their catalogue of games includes over 200 slots, 8 video poker games and classic casino table games such as baccarat, blackjack, craps and roulette. The operator is known for regularly adding new games, which keeps the long-term players interested while also attracting inquisitive new players at the same time. Most of the slot games found on their site follow the familiar pattern of 5 reels / 20 paylines. The progressive jackpot games at the online casino often have sitting jackpots of over $100 000. Punters can choose to play slot versions of European and American Roulette, Classic Blackjack, Side Bet Blackjack, Jacks or Better, Bonus Poker, Double Bonus Poker and Double Double Bonus Poker. Every one loves a good freebie. And the minds that matter at Pala know this all too well. Which is why they offer a First Deposit Bonus. Pala will match the player’s first deposit up to a total of $500 if the player has made a deposit of a least $10 into their online Pala account. The wagering requirements are fairly intensive, but then again, very few of their competitors will match the first deposit amount all the way up to $500. 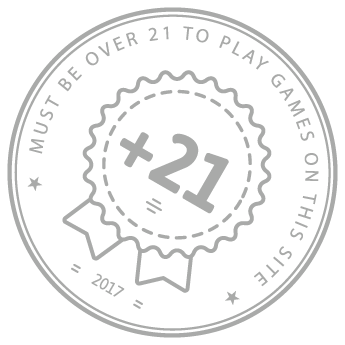 The requirements are x20 on slots and x100 on all other games (excluding craps). Punters have up to 30 days after registering to take advantage of this bonus. 1. $20 for use in casino. $15 of the amount must be used to place real money bets while the remaining amount counts as a guaranteed minimum win following with your initial free $1,000,000 slot game spin. Unused bonuses expire 30 days after joining. Pala Online casino NJ offers players the convenience of a mobile app version of their online casino, available for both iOS and Android platforms. The iOS app can be downloaded directly from the App Store while the Android version is only available from Pala Casino website due to restrictions from the Play Store. The mobile apps do take a good few minutes to download thanks to the additional files it needs to copy the first time you launch it. The length of the wait is very much depended on the speed of your internet connection. That being said, both versions of the app do come with extensive libraries that include over 100 online casino games. Compared to the selections offered by the competitors, the Pala mobile app game library is rather impressive. Overall, both apps run fast and quite smoothly and crashes are virtually non-existent. Both apps can be used on both smartphones and tablets. Pala Casino is one of the premier gaming operators in New Jersey. They offer players a solid, reliable and entertaining gaming experience. In fact, Pala lead the industry in many categories and look set to only improve further as time passes.